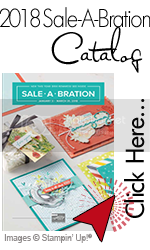 The new 2012 Occasions Mini Catalog is here, and with so many charming products perfect for Valentine's Day, Easter, birthdays, and more, it's a wonderful reason to call me to schedule a workshop, ask about attending a class, crafting crop or place an order! If you did not receive an Occasions Mini Catalog and would like to receive one, please email me your contact information. Over the next few days, keep a close eye on my blog or my Stampin' Up! website for new classes and events that will be posted or visit my meetup.com website for events along with a quick an easy way to sign up for events! A new catalog gives you the opportunity to earn new, limited-time hostess products, and is an exciting time to host a workshop where you can experience the hands on fun and see all the new products in action. I truly believe you are going to LOVE the 2012 Occasions Mini Catalog. NextSUOC 36 Perpetual Card Fun with Stampin’ Up!